New album by DIFFERENT STATE – The Frigid Condition – Chain D.L.K. 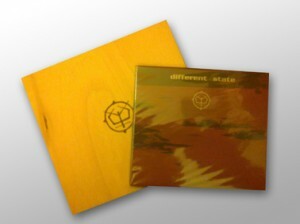 DIFFERENT STATE returns with their new album “The Frigid Condition” is composed of 10 new songs uncovering the new, surprising face of the project; yet, it is not deprived of the typical elements that Marek Marchoff has managed to get us accustomed to via Different State’s previous works. Their alchemical mixture of illbient, industrial and psychedelia is most visibly experienced on this particular album. Loads of new elements were added to Vera Beren – the new band member. Not surprisingly, John Kilgore, the engineer of the album (known as a Frank Zappa collaborator amongst others), left its significant mark on “The Frigid Condition”. If you are ready to plunge into the cold, degenerate and claustrophobic world of Different State – this album will engage you for many hours. “The Frigid Condition” will be available in two editions: – regular – a digipak CD – deluxe – limited to hand-numbered 50 copies, presented in a wooden box which will contain a digipak CD, a cassette with additional tracks, pins, stickers and postcards.